The President of Vanuatu’s Penama Province, Alban Garaevui says his council has endorsed seasonal work for people from Ambae Island after their crops were destroyed by ash fall and acid rain from the island’s Manaro Volcano. However, Mr Garaevui said, eventually, the council wanted to see the workers return home and use their earnings to start local businesses and hire local people to work for them. The President’s vision was welcomed by the Suva-based International Labour Organisation and Vanuatu’s Department of Labour both of which have sent representatives to Ambae to see how people there can apply for seasonal work in New Zealand or Australia. 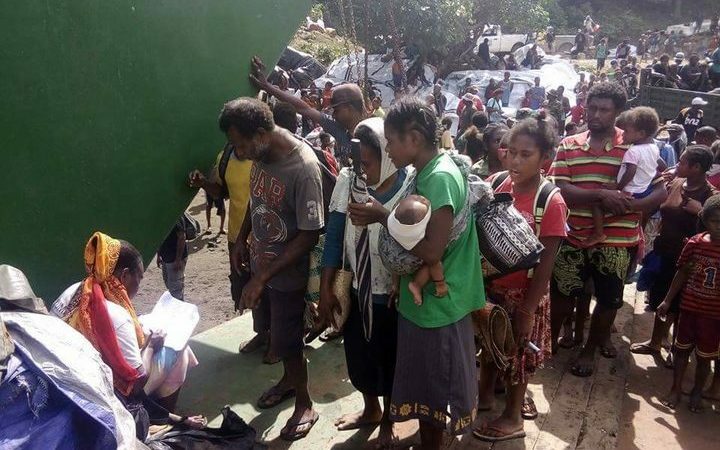 Representatives from both groups also assured people on Ambae that a special paper on their needs will be prepared for submission to the High Commissioners of Australia and New Zealand. The island was evacuated in September when the volcano at the island’s centre erupted, but evacuees started to return in November.